I am a young guy passionate about the tech world! I tend to focus a bit more on Apple than others, but I also love to stay updated on just about any new thing that is coming out. I do my best to be fair in all assessments, and I love sharing opinions with my readers! Apple has been well known in the last decade for being able to create an absolute frenzy leading up to a release of a new phone/iDevice. What began as a handful of excited rumors on tech blogs a month or so before a launch became internet wide speculation just a few weeks after the newest device was released. Their PR and marketing team is clearly top notch, and they have been largely successful at creating the demand before their products are ever released. However, in this post-Jobs era, is their traditional model of tight lipped secrecy and slow drip release schedules really paying off? As anyone knows, a tech company can’t exactly go around describing what they are building piece by piece. Their R&D teams work very hard to develop new processes, new designs, and new hardware/software relationships that will “wow” the user. Apple is no different, but what is significantly different about them is their secrecy and their release schedule. One of the things that made this approach so unbelievably successful was the cult-like secrecy that Apple is known for. This created an atmosphere that the new iPhone would be so incredible that an employee would literally be fired on the spot for speaking just one word about it. It gave Apple products the air of being a “forbidden fruit” and that on the day Apple chose, we would all be exposed to this incredible new advancement of technology. Is this secrecy still necessary? We all know that most tech companies have a pipeline of new products for a year or two in advance. It would certainly be suicide for Apple to start describing it’s iPhone 6 before a 5S is even out, but is leaking absolutely nothing still working? 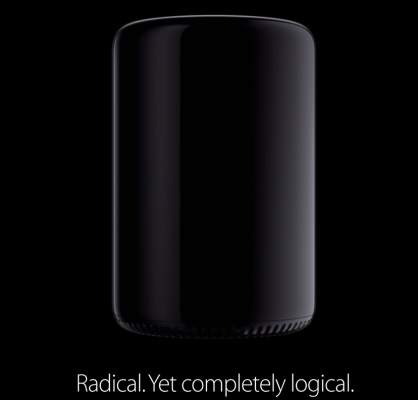 Steve Jobs was notorious for not saying a thing about an upcoming product, except that it will be incredible. For the years that Apple was experiencing a meteoric rise, this was acceptable and even played to create the hype around the phone. These days, I’m not so sure that this is working. In other companies such as Google or Samsung, you see what they are working on, many of their top employees are excited to discuss it, and you want to share in that enthusiasm. The Apple secrecy has made them impersonal, makes them seem more shut off and like prodigy egoist that don’t want to speak of things the public won’t understand. One of the best marketing tools Apple ever created was the regular yearly release schedule. With their iPods, iPhones, and iPads, they initially followed a predictable pattern of release dates that kept consumers on their toes. Always knowing that a new phone would be coming out in a year had consumers constantly looking for the “next big thing” and it also gave them confidence that they could wait a year for the next device and have a good phone to upgrade to. What this created was a feeling of newness and more importantly, a feeling of reliability. Year in and year out, you could count on iPhone releases being in the middle of the year around June or July, and you could get yourself excited and feel months of anticipation building up. The new phone would come out, it would be an improvement over the last, you can use your upgrade and know when the next iPhone will come out for you to replace your current one. Life was good. Why have these methods broken down? It’s kind of strange to look back on the beginning success years of the iPhone and think that now, some of the ways that Apple made it so popular are what is actually causing them the biggest problems now. While secrecy and a release schedules kept customers excited and looking forward to their products, it doesn’t exactly have the same effects as it used to. Why is that? Probably the biggest reason why Apple can no longer afford to release one phone a year and hope people worship it is because there are too many other competitors that have finally caught up, and in some cases surpassed, the quality and experience that Apple provides. If you remember the first days of the iPhone, or should I say the first years of the iPhone, competition was positively laughable. I remember the rumors while I worked at the Apple store, every other month was “XYZ phone company is coming out with a new touch screen phone to challenge the iPhone!” Every new one was supposed to be an “iPhone Killer.” I was always curious what the competition would bring, so I would go play with the phones when they were released… and I would walk out of Verizon or AT&T shaking my head. The touchscreen, the most basic thing about the phone that needed to work flawlessly, was laggy, slow, and unusable. Regardless of software or a device/company ecosystem, if every time you tapped the screen it registered 50% of your taps and slowly at that, the phone was doomed from the beginning. Obviously, this is not the case anymore. Plenty of companies have caught up technologically, and they are starting to out produce and more importantly, out-innovate Apple. Companies like Samsung have begun trying futuristic technology like motion control, IR Remote, and screens that quite frankly shame the “Retina Display.” Even from a design standpoint, the HTC One has challenged Apple in the area they have been known as the undisputed king. I want that phone, I want it because it’s gorgeous. Apple used to be the only company that could provide that. With other companies releasing phone after phone, Apple just can’t stand to release one phone a year (let alone one every 1.5 years). This has been a long contested point about what Apple is as a company, and whether it’s model makes sense, but the pressure is much higher than it ever was. What Apple created was a premium market, a high-end smartphone that delivered on everything that you can want, and it was way ahead of its time. However, now that there are so many other options, and the “smartphone” is the normal phone that people buy, Apple is just drowning in the offerings. It still has the power to bust through, but it needs…. As a marketing tool, this has been incredibly successful and created demand and anticipation any other company would kill for. However, with that comes the pressure and responsibility of the company to meet that demand and excitement. When I worked at Apple, one of the most common mantras was “under promise, over deliver.” Ironically, what their marketing and image has done in recent years is “over promise, under deliver.” To be fairs, rumors for iPhone generally range from better screen to cooks you breakfast in the morning, but until the 4s/5, they were able to meet or exceed expectations. Right now, they just aren’t producing the products that live up to the hype. What really sapped me of hope was the break of their generally reliable model of: Major update -> Incremental update -> Major update. For example, iPhone 3G -> iPhone 3GS -> iPhone 4 -> iPhone 4S. It was a good model, two years to create incredible advances, and one year to incrementally improve on was was usually the best phone out there. However with the iPhone 5, it seems like a second incremental increase to the iPhone 4. There was nothing groundbreaking, nothing surprising, nothing unexpected. The “one more thing” died with the iPhone 5. Additionally, they have been taking longer to release the phones. With the release schedule very uncertain at this point, people are genuinely trying to guess Summer or Fall. This injects uncertainty in an already frustrated fan base, and I believe it pushes customers to jump ship to competitors offerings. At this point, would you rather wait around for a potentially disappointing incremental upgrade that might make you wait until Fall anyway, or would you rather take advantage of the newest and most innovative smartphones coming from the Android market? The hazy cloud that surrounds controversies like this is the question of: is this all because Steve Jobs is no longer at the helm? I won’t discuss this here, but I do have to say, since he has left, that little extra something that Apple throws to its loyal fans seems to have disappeared with him. Whether the innovation and “over deliver” will return any time soon is up for debate. The problem with the model Apple has built is that it has become it’s own enemy. The slow release date created their image of “exclusive, premium, ground breaking” products. However, now they aren’t the only ones, and if they speed up releases they could anger customers and lose their special feel (see the 4th generation iPad). Apple has to change something, and I would bet on tightening up their release schedule again, under promising while over delivering, and packing every piece of technology they can into a phone. Back to the basics, but without the cockiness and air that nobody else can come close. They can’t afford to smugly wait a year to release new technologies anymore, they have to attack because they are no longer in the position to just defend. Depending how old you are, you may be able to remember the time where text messaging was the next big thing in the cell phone world. Before iPhones and other smartphones, text messaging was the preferred way of contact for millions of people across the country, and it was particularly popular with the younger crowd. Today, we still see tons of people taking out their phones to tap a text message, but a new wave is coming that will soon render text messaging, or SMSing, obsolete. In this article, my aim is to give you a little background about the text messaging craze, and at the same time review a handful of new age apps that will be the future of the messaging world in the not so far future. Enjoy! When texting first appeared, it was unbelievably expensive, and many people had trouble justifying the cost. The pricing schemes were new, and very unfriendly for people who wanted to text more than 100 times a month. As with any technology, the mobile carriers realized that the public had no idea how much it actually cost them to send a text message, so they charged as much as they possibly could for this new luxury. This meant that texting could cost anywhere from 10-25 cents per sent message and per received message (in most other countries, you only pay when you send, not when you receive). While this may not sound like much on paper, it wasn’t very long before teens really began to adopt text messaging as a form of communication, and all of a sudden sending a couple of thousand text messages a month became a real possibility. As you could calculate, sending even 1000 text messages in one month will cost an extra one hundred dollars on the monthly phone bill, and that doesn’t even count the replies that are coming back. As texting became more popular, companies were pressured to offer more affordable plans, to which the companies slowly caved. At first, the next affordable plan came in small amounts of text plans. For example, you could purchase a 200 texts-per-month plan for about $10. This solved the problem for many casual texters, but for the power users, it just wasn’t enough. When smartphones began to take off somewhere around 2007, texting was still extraordinarily popular, and was even starting to penetrate the older age groups. However, like the smartphone did to many areas in the mobile world, it changed the way that people were communicating. All of a sudden, having a mobile internet connection was normal, and more feature rich messengers were coming into the market in droves. Instead of paying for a text messaging plan at all, people could pay solely for their internet connection and then use something like Blackberry Messenger (BBM), or apps that offered access to Google Chat, and other instant messaging services. This has absolutely changed the way that people communicate, but not only because of the cost. Things like BBM, or now Apple’s iMessage service offer a much richer experience than the simple short message service (SMS) could offer. Instead of having to differentiate between a MMS (Multimedia messaging service), and a pure text message, these full featured services allowed sharing of pictures, videos, and even location. Even better, they offered advanced options like read receipts so that you could see exactly when someone opened your message on their phone. 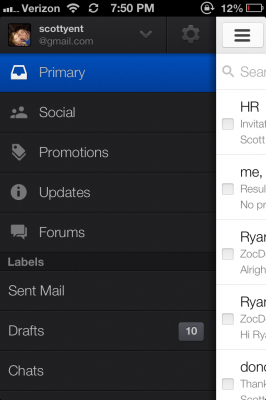 This really enhanced the messaging experience, and gave users more with a generally similar interface. As I mentioned at the beginning, I wanted to review some of the popular services that people are using today. I won’t be reviewing something like iMessage or BBM, because for the most part, people know what those services are and what they offer. In this section, I will be focusing on some of my favorite text replacement applications that are available in the app stores for most smartphones. WhatsApp is a wildly popular text message replacement app that gives users the ability to ‘text’ message without paying for it. The system is basically a copy of something like iMessage or BBM, but it is a third-party instead of a program created by the phone maker. For this reason, there are more customization options, and all of the great features that these internet messaging services offer. Free, free, and did I mention…free? This feature rich app is relatively new to market, but it is probably the best offering out there if you are looking for connection to other messaging services. Unlike WhatsApp, you can use the service from non-mobile carrier devices. This is a huge advantage, because you don’t need a telephone number in order to activate the service. You do, however, have to have an account on one of the services they cater to (which is a lot). Examples include: GTalk, Facebook, Skype, AIM, Jabber and even Steam for you gamers out there. Well, not too much. They have the functionality of WhatsApp (you get an IMO messenger account that works just like WhatsApp), while also having a connection to any other chat platform that you want. Their web interface is also top-notch, I honestly can’t find a fault with the app. 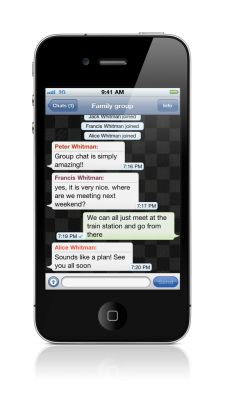 It is a great messenger that is reliable, free, and makes it easy to talk to groups of friends. I use it daily to coordinate between groups of friends in different areas. For example, I have a ‘Knicks’ chat, a ‘Business’ chat, and a chat that only has my closest friends. We regularly talk in it, and it keeps us connected even though we live far away. It has a great user interface that is sleek and updated, and they also offer an online web interface. This involves logging in online, but it only works with GroupMe conversations. I honestly think that all of the apps featured in this article are fantastic and bring a lot more functionality to your smartphone. I personally use them all, and think they all have their strengths and weaknesses. IMO Messenger is the best option if you are looking for connection to other services, or if you know many people who use IMO Messenger. WhatsApp is useful for the same thing, free messaging, and being able to have the more advanced features like picture sending and read receipts. There are a ton of people that use it, so this one is often a necessity. 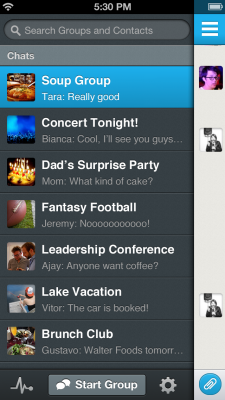 GroupMe is also a fantastic app, and I prefer it to WhatsApp solely because of its online web interface. Unfortunately, my home group of friends are the only ones that use GroupMe, so I am left with WhatsApp for the rest of people. 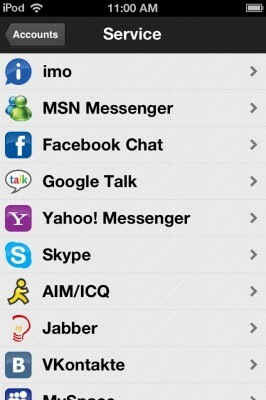 Then when I want to interact on GTalk, or Skype, I hop on over to IMO! Disclaimer: I realize this is a technology website, and while I have my own political opinions, I am not in any way attempting to push any sort of belief, or support either candidates in this post. I tried to be fair and balanced, and in no way intended to spark a political debate. Technological debate only! Technology has changed our lives in more ways than can possibly be written about in one article. It has probably changed more things than we can even realize, and the fact that it is all around us is starting to be taken for granted. Recently, while reading various news articles about the latest debate and how people perceived the candidates, I finally realized just how much tech and social media has impacted something as important and life changing as the presidential election. Undoubtedly, the biggest impact that technology has had is through the way that we spread information. In the past, things had to be looked up in an encyclopedia, or you had to find someone who was knowledgeable in the subject so that you could ask them some questions. Today, virtually every piece of information known to man is available literally at our finger tips. These things drastically change the speed of information, and this is most evident in the current presidential elections. In the past, elections could be completely decided by how strong the physical campaign was for the candidate. It was relatively simple really: if you visit more places and speak convincingly, more people will be willing to vote for you. Now, the political landscape is completely changed by social media and the easy access we have to all sorts of information. All of a sudden, the information asymmetry that candidates were counting on simply is gone. This has had a huge impact on how we perceive the candidates, and I believe, how we vote. One of the biggest examples of the effects of social media during this election is in the presidential debates. 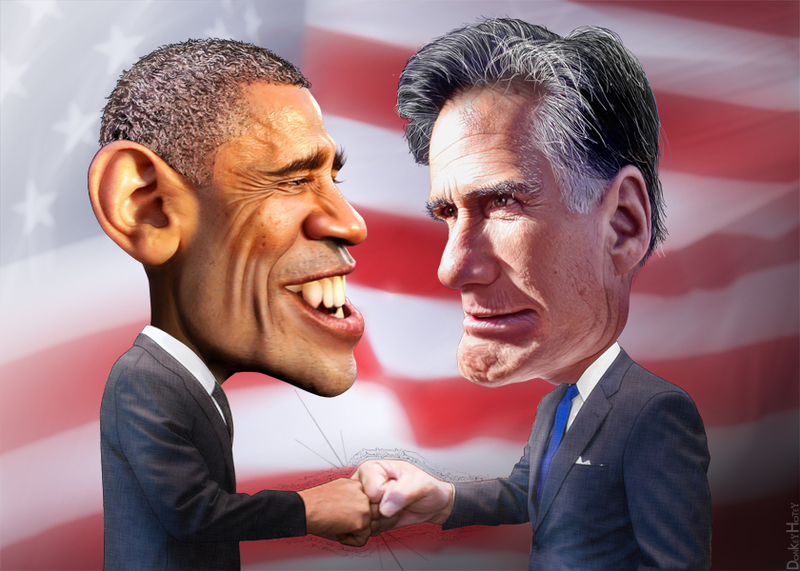 In the past, debates were somewhat downplayed, and people thought that it ultimately could not sway the results of an election. Many people thought that while opinion may change slightly, it wouldn’t affect the outcome of the election unless one candidate flat-out humiliated or dominated the other one. Then, of course word would spread. However, spreading the word in the age of the internet is infinitely easier than it was ten years ago. This means that people can tweet, post status updates, or send friends messages instantly to say what they feel about the presidential debate. Instead of being alone or with a group of friends/family watching the debates, we are now in groups of thousands and millions where tons of opinions are being thrown around. This also means that instead of forming your own opinion, you are more likely to be swept up in others ideas long before you realize what it is you want. In some cases this may be a good thing, but it can also be terribly destructive to one of the candidates depending on how the flow goes. My favorite aspect of this tech impact on the elections is the “fact checking” websites that have popped up all over. The idea that they’re out there has a very positive effect on the elections, and on politics in general. In the past, candidates could spew lie after to lie to the general public, and if they were convincing, that was all that mattered. While this is still true in some situations, the fact that you can jump on your smartphone or laptop and check to see if what you were told was actually true really shifts the power away from crafty words and convincing personalities. Of course, you are often still left with how you feel about the person and how convincing they were, but if a point you really identified with was found out to be a lie, then you are much more likely to change your opinion. Naturally, there is still some bias in these websites and articles that check the facts, and while campaign parties realize that it is out there, they still do their best to avoid telling the absolute truth. What seems to be a “win” these days is telling something that isn’t a lie, but isn’t 100% true. By staying neutral, and usually skipping the parts that you don’t want to bring up, it is much easier for the people who read about it to simply think of it as “strategy” instead of lying. Something that I find extremely interesting, and that I think has a strong impact on the elections, is the social media that is used to discuss the candidates. For example, during the political conventions and the debates, live tweets were displayed in real-time on the screen so that viewers could get an idea what others were thinking about debate. While this may seem harmless, and even collaborative, it can really change the impact and the perception of the discussion. Tweets that are discussing what is currently happening in discussion effectively decide where the attention is being focused during the talk. Something as harmless as “Why does Biden keep smirking?” can lead to millions of people ignoring the words and only looking at facial expressions. Another huge impact that these sites have, is how much people have been taking quotes or pictures from debates and campaign events and positing them online with funny twists. Places like Tumblr, Facebook, and Twitter are hotbeds for pictures and quotes that are edited and changed for a funny purpose. One glaring example, and the one that really made me think “Oh wow, technology really is changing the elections” is the Mitt Romney and his “binders full of women” comment. Something that was seemingly an innocent statement was picked up in minutes and had a Twitter hashtag, a Facebook account, a website called bindersfullofwomen.com, and a Tumblr page full of memes about Romney and his stance on women. If you ask viewers what they took away from the debate, you may get a mix of answers, but if you ask them if they heard about “binders full of women,” most anyone will say yes. Similar things have been done against the Obama campaign, and it isn’t hard to find similar Tumblr pages or YouTube parodies that tear apart the Obama administration and try to take statements that he has said and put them in a negative light. While I believe that all of these things have drastically changed public perception of candidates, it hasn’t altered the process enough to completely change politicians themselves. They still lie, they still say half-true statements, and they still do their best to manipulate the public. The smart ones are jumping on the tech wagon and using these things to continue to perpetuate the lies and the propaganda by taking to social networks or posting viral videos. The bindersfullofwoman.com site that I mentioned above? It was created by someone who is an avid Obama supporter and is linked with the campaign funding channels. Things like this that are seemingly funny and innocent, are pointedly political and calculated attempts to tear down the image of the other candidate. We will see much more of this in future elections, and it will continue to be hard to tell whether it was an innocent joke or a focused attack. As technology continues to be more pervasive in our lives, more people will get their information from channels on the internet. Be it Tumblr, Twitter, Facebook, or even a blog that you regularly read, these places are quickly and effectively changing the minds of many citizens who regularly access them. I would like to believe that in the future, this will lead to more truths being told, and less lies being allowed, but I am not so sure. The internet has long been a place where facts are overruled by opinions, where stories that have no real base are picked up, and entertainment trumps anything related to sense and responsibility. There are many tools that are available to greatly improve things in the election process, but it remains to be seen whether these tools are used more by people who make positive changes or ones that take advantage and use them negatively. 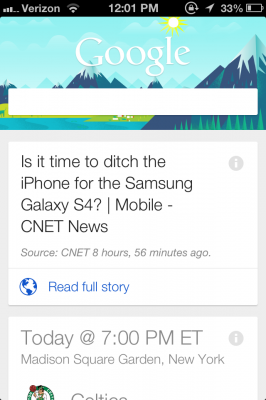 Was pushing away Google the right choice for Apple? One of the largest strategy shifts that Apple has made in recent memory is its decision to gradually break ties with Google. Less than a decade ago, as Apple was beginning it’s meteoric rise in the technology world, the unspoken partnership between Apple and Google appeared to be the most powerful business partnership the world has seen. Two of the most innovative and ultimately successful tech businesses, working to create some of the best tech innovations of our time. 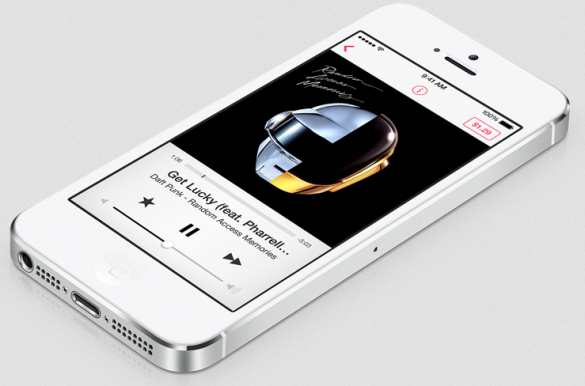 So what exactly happened to their relationship, and was it the best move for Apple? When Google initially jumped on board with the iPhone, the two tech companies absolutely fell in love. The beautiful version of Google Maps that Apple software techs helped to engineer made Google that much more dominant in the search and mapping market. As the iPhone became more popular, the usage of Google Maps continued to rise with it. These two giants seemed to be perfect compliments: one creating hardware and a user experience, and the other supplying the complicated and comprehensive search and map back-end knowledge that was needed to make it all work. Everything was great, and both companies continued to rake in the customers and the cash. The first trouble started to show when Google started producing some of its own apps that were too similar to the iPhone’s built in software. When Google was trying to get Google Voice and Google Latitude accepted into the Apple App Store, they were sorely rejected with rather weak reasons. Mainly, Apple felt that the services were too close to what was already included on the phone, and it would not approve anything that altered or changed that main user interface. To some, this was justifiable as Apple had spent the time to precisely create its user interface and did not want other apps to “create user confusion” by duplicating some services. However, to Google and many people who were Google fans, this was the moment where Apple really showed its true colors and began to show that they were only interested in self-preservation. Until now, Google had been the darling of Apple, and to see apps created by them being rejected by Apple was basically like an awkward silence after a fight at the family dinner table. This didn’t ruin the relationship by any means, but this was where the first crack was shown. Disenchanted with Apple, it wasn’t long before Google began to produce products that were overlapping Apple’s current product offering. 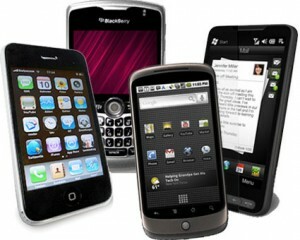 Most notably, the Android phone operating system was developed using many similar ideas to Apple. They built a user interface that was simple to use, straight forward for the consumer, but also much more open than Apple’s “closed garden” strategy. At first, Apple laughed this off as a search company creating something in a field they had no experience in. But as time went on, Android became a bigger and bigger threat to Apple , and it became the wedge between that really pushed them apart. Steve Jobs took the invention of Android very personally, and claimed that Android had used many proprietary ideas and technologies that Apple had in order to copy their mobile system. What made matters worse for Jobs is that Microsoft had done something very similar in his early days at Apple. Microsoft made a decent operating system, and then instead of producing the hardware, simply licensed it out to whoever wanted to create a system for it. This led to Microsoft taking the overwhelming lead in the PC and software market, and all but crushing Apple to bankruptcy. Around this turbulent time, Jobs was effectively ousted from his own company, which many think created his unmatched drive for success in later years. Google took the same approach originally used by Microsoft by opening Android platform to anyone that would like to create a smartphone for it. Even though iOS has the overwhelming lead this time around, the threat was clear as Android started to grow. Apple continued to deny random apps from Google, and it took small shots at Google such as implementing its own iOS advertising system. Before, Google Ads was the dominate advertising platform, but Apple decided it wanted a piece of the pie that was Google’s main earner. This was just another thing that made it personal, and led to the disintegration of their relationship. Since 2009, Apple has been collecting mapping companies. From their first mapping investment, Placebase, to two 3D mapping companies called Poly9 and C3, Apple was building the technology they need to hit Google where it hurts. Google Maps drives a huge percentage of location-based search and advertising for the search giant. Additionally, more and more people are using their smartphones as opposed to the computer, so location-based search such as Google Maps is becoming ever more important to Google’s business strategy. 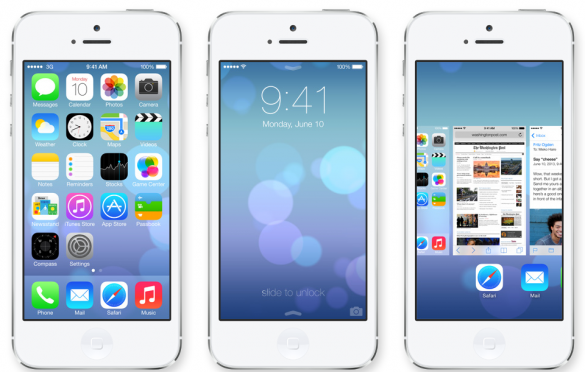 In June, Apple announced their plans for the new iOS operating system, iOS 6. While most features were incremental, one feature really stood out: Apple Maps. As the most glaring representation of the break between Google and Apple to date, people were curious about what Apple Maps would be like and how good it would be compared to Google Maps. Apple marketed it as a revolution in apps, and talked about how their 3D mapping technologies would change the way we view mobile maps. When the iPhone 5 came out, and iOS 6 was released to the world, consumers quickly realized that Apple couldn’t deliver all that it had promised. When the iPhone 5 came out, and iOS 6 was released to the world, consumers quickly realized that Apple couldn’t deliver all that it had promised. What was worse was that people also saw that it couldn’t even compete with Google Maps. Some glaring mistakes such as missing towns and landmarks, and navigation that was not nearly as good as Google’s, made Apple Maps a complete flop. However, the split between Google and Apple was final. There was no contract to keep Google products in iOS, and even the native YouTube app had been taken away by Apple’s team. Google Maps was gone, and there was nothing consumers could do about it. Was this the right choice for Apple? Time will tell whether this really was a wise choice for Apple. 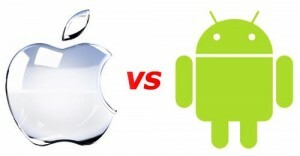 On one hand, it has made a clear divide between one of their main competitors in the smartphone market. On the other hand, it has spurred Google to no longer treat Apple as a friend and now treats it as a foe. For example, word has recently been spreading that Google is partnering with Samsung to create a 10-inch Android tablet that has a higher resolution screen than the iPad. That’s right, Samsung, the company that Apple is spent a lot of time and money suing for ripping off the designs of their products. Partnerships like this will only continue as time goes on, and Apple will be forced farther and farther back into its walled garden. Separate from that, many users are fueled to switch over to Android because services like Google Maps and YouTube work so seamlessly on their devices. While something like keyboard selection was never the biggest point on someones shopping list, now with these glaring differences, there is a lot more incentive to simply make the jump out of the Apple ecosystem. 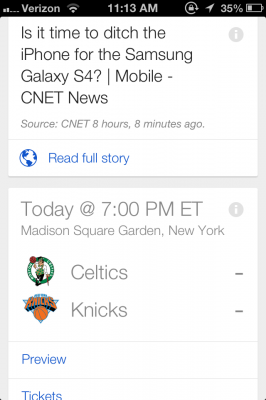 As of now, it seems like pushing Google away was the wrong choice for Apple. As of now, it seems like pushing Google away was the wrong choice for Apple. They are left in their corner having to come up with search and mapping technology that Google has largely perfected. Taking such huge efforts like this internally could be something that slows the company down drastically, and prevents them from truly innovating on further projects. Or, they could surprise everyone, and revise their maps to be the best out there and once again prove that they are the best at customer satisfaction. Only time will tell. When the iPhone 5 was announced, many people wondered how its many incremental changes would allow Apple to take the lead again in the smartphone market. Of all the changes, there is one feature that will be the most important, and will most impact the impression of the public: 4G. The 4G radio upgrade that allows the iPhone to access this much faster internet connection (in some cases, faster than the cable connection in our houses) will completely change the user experience in more ways that we realize. The same can be said for any mobile device that is 4G capable, and as more companies upgrade their technology, this new connection standard will revolutionize the way we interact with the world. To understand the gravity of the 4G breakthrough, we have to look back a bit at the first connection revolution: broadband internet access. When the internet first began, and users eventually got access to it right from their own homes, the dial-up connection was extraordinarily slow. You had to wait minutes just to load the login page for email, not to mention the fact that you had to give up a phone line to do it. This meant that most people didn’t use the internet to constantly surf content, and webpages were basic so that things were easier to load over the poor connection. When the broadband connection was created and the technology became more and more popular, it completely changed the way that companies created content online. Sites like YouTube and Facebook were becoming media moguls, and the availability of a faster connection opened up options for companies that were not previously available. They used these new options to completely revamp the usefulness of the internet, and it changed the way we interacted with the world. All of a sudden, it became more convenient to jump on a shopping website to find a product than it was to go to a physical store. All of a sudden, it became more convenient to jump on a shopping website to find a product than it was to go to a physical store. Information from Google was mere seconds away, so going to the library became obsolete. Watching a movie was as simple as a few clicks, and some momentary loading, the need to run to the store for a rental was all but eliminated. Even chatting with your friends became easier to do with your internet connection, so social sites exploded all over as people logged in from home. A ton of content started to become available, and over the evolution of the speed in the past ten years, websites like Netflix and Hulu have been able to build their media-based companies because of this better technology. Even things like email and search have become so easily accessible and convenient that it is our preferred way of contacting people and finding information. If the slow speeds of previous internet connections had stayed the same, almost none of the things that we do now would be possible. Even if the information was out there, nobody would have the patience to access it, and no company would invest time in creating content for something so difficult to access. The next biggest jump in how we access information and interact with the world was the smartphone. Phones such as the iPhone began to bring search, maps, and informational apps to the finger tips of their owners. This certainly has been a revolution as smartphones and tablets have become faster and more reliable, and more interaction with the internet has been on-the-go. These incredibly convenient tools that were available online (search, money conversion, Wikipedia, distance calculators, etc) were starting to be put into sleek and easy to use smartphone apps. The added convenience of having them on your phone brought their usability to a new level, and the smartphone market sky rocketed. However, when smartphones leave the safe haven of a high speed wifi connection for a standard mobile data network, things go downhill pretty quickly. It is something that we have become somewhat used to, and we forgive the slow network speeds because we realize this is the price for the convenience of accessing this information while being mobile. Sure, it might take a little extra time to load those pictures or get your Google search result, but it is much better than not having any access at all. 4G is going to change all of that in the same way that broadband changed the way we use our computers and the internet. 4G is going to change all of that in the same way that broadband changed the way we use our computers and the internet. One of the easiest ways to see this is to take Netflix as an example. Their apps for Android and iOS are fantastic, and when you have a wifi connection you have thousands upon thousands of video options for entertainment. When you leave that wifi connection, your willingness to wait for that video to buffer becomes much less, and in the end you end up using it almost not at all. This is just like dial-up, it would load if you were willing to have some patience, but for many websites it just wasn’t worth the wait. With the faster 4G connection, once again, sites such as Netflix, Hulu, YouTube, and even Facebook, are going to be able to pump out media to their users. It will also allow every single website to increase their complexity, and put out mobile versions of their sites that will be much more satisfying to the user. The lag that we experience now has already started to become a thing of the past, and children that are young now will not be able to remember the time they couldn’t get access to a site or video instantly via a mobile device. Since 4G is fairly new and much of the public isn’t entirely sure what it means for them, companies like Apple are cashing in on the new technology. In the iPhone 5, the improved processor will certainly add some juice for dealing with software running on the phone, but the 4G connectivity will pick up any remaining slack. To many users, this will be all part of the “Apple experience”, and many will attribute the improved speeds to be the result of the processor and the device itself. Instead of marveling at the speed the phone brings down data in the browser, people will think, “Wow, Apple made the iPhone 5 a lot faster!” The same can be said about any other 4G device that is out on the market today. Meanwhile, we have moved past the strict need for faster processors on phones as most new mobile devices can handle a very significant amount of software and usage without having a lag. Incremental processor updates will certainly still help development of software, but the 4G network is what is going to vastly improve the user experience. One of the interesting aspects of this improved connection is just how much it will change the software world in the future. Right now, we see many companies transitioning to cloud-based solutions, but with a typical 3G connection, this can be very limited. 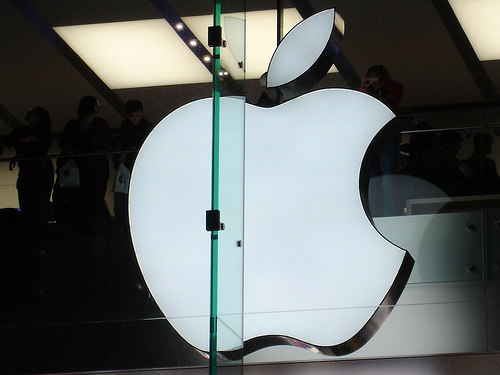 With faster internet connection speeds, companies like Apple and Microsoft have the ability to build cloud-based operating systems that are shared between the mobile platforms and the computers. Apple’s mobile operating system iOS and their desktop operating system Mac OS have been converging for years now, and with Windows 8, Microsoft is taking that a step in that direction as well. Processors in mobile will certainly still play a role in this development, but the fact is that these companies can take a huge load off of the devices backs by creating server-side software that is network dependent. With potential 100Mbps download speeds, downloading pieces of your desktop operating system doesn’t seem too far fetched anymore. The biggest concern right now is how mobile carriers are capitalizing on this improved network connection. Using incredible amount of data on a network is something that is relatively new, and knowing that more people are going to be switching to 4G for the speed, companies are beginning to charge more for data instead of less. Verizon and AT&T previously offered unlimited data plans for around $30 per month, and for anyone who used their mobile device a lot, this was more than worth it. However, in recent years they have implemented a max plan of 2GB for around the same price, and for these years it hasn’t caused that much of an uproar. Unless you were a diehard mobile device addict, having 2GB of data seemed like more than enough. Many people hoped that, as faster data connections were made available, data caps would also increase to support the increased throughput. It isn’t very hard to use 2GB of mobile data anymore, and with increasingly data-intensive applications coming out every day, it is more likely that even the average person will use 2GB in a month. With the increasing popularity of 4G, mobile carriers seem to be trying to squeeze every penny out of their customers. With the increasing popularity of 4G, mobile carriers seem to be trying to squeeze every penny out of their customers. Capped data has continued to be the norm, but it won’t stay that way for very long. The more that people transition to 4G, and the more data that is used, the more people will start to demand better prices for it. The same thing happened with text messaging once people started to realize how obnoxiously over priced an individual text message cost. Now, unlimited text messaging plans are the most efficient, and they have made text messaging one of the preferred ways of contact for millions of people across the country. Hopefully the same thing will happen with mobile data, but we do have to take into consideration that the phone companies are running out of things to charge for. Now that the primary use of mobile phones has changed from voice calls to things like streaming video, sharing rich media, and browsing the web, carriers want to find new areas to rake in the profit. Unfortunately, for the time being, data is that area. 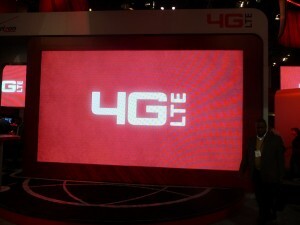 Even with data caps, 4G will be a driving power behind the technology of tomorrow. The increased network speed will unlock thousands of potential options for small and large businesses alike. Our transition from laptop devices to fully capable mobile devices will continue, and with speeds this impressive, we will see the transition faster than previously thought. 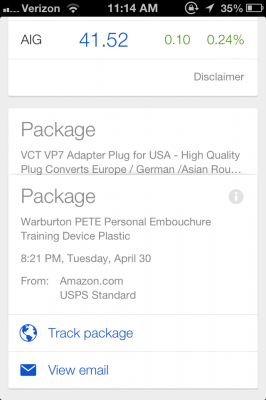 Before long, something like Google’s Project Glass, with an augmented reality system that constantly shows you information about the world around you, will be an every day item. With more powerful processors, and better hardware, companies have been trying to pack all of their punches into on board software. Now, that approach has become much more flexible, and our future hardware world will be most likely be much better complimented by full feature options available virtually instantly through your mobile network. As consumers become more familiar with technology, and the technology itself becomes more affordable and flexible, the question of whether Bring Your Own Device policies are practical is becoming a main topic in the business world. Today, there are hundreds of options for smartphones, and consumers can custom order a laptop to exactly fit their needs without having to pay much extra. 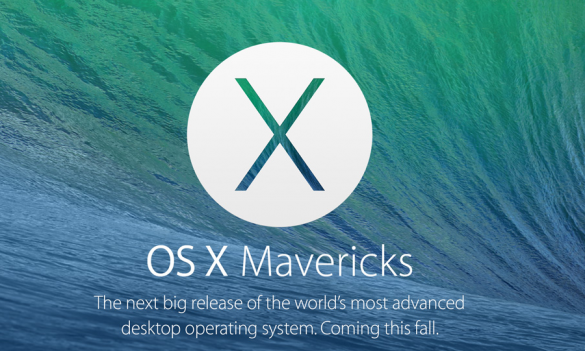 People have developed strong preferences for their operating systems, whether that is Windows, Mac, or even Linux! In the smartphone world, the ongoing battle between Android and iOS continues, and the business-friendly Blackberry continues to look antiquated. With all of these options and preferences, what is the best technology policy for businesses today? A Bring Your Own Device policy has obvious advantages for the employees at a company. If you are able to bring your own phone or laptop, there will be less transition time, you will be more familiar with the layout and software, and you get to work with the software that you prefer. For many employees out there, this would be a dream. However, in order for this to be a plausible option for companies, there also has to be a significant incentive for the company side of the equation. The biggest argument for the futuristic BYOD office environment is that it will boost the productivity of all of the employees. The biggest argument for the futuristic BYOD office environment is that it will boost the productivity of all of the employees. The idea behind it is very simple: happier workers = better workers. This way of thinking is hard to argue against, and it is the chief reason that employees vote for BYOD policies. 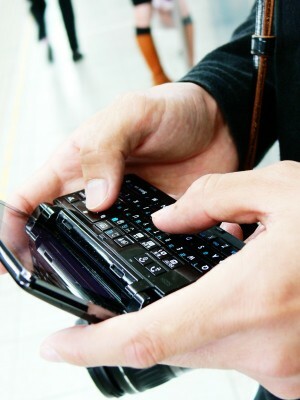 If you get your work email on your personal phone, it is more convenient and easier for you to stay connected. If you have all of your work information on your laptop, it is easier for you to leave the office early but finish up work from home. This type of flexibility can greatly enhance employee experiences, and often it truly does result in higher productivity. The biggest problem with BYOD is as obvious as the happiness advantage: it is complicated to combine many systems and have everything work OK.
As with any policy, naturally there will be some disadvantages. The biggest problem with BYOD is as obvious as the happiness advantage: it is complicated to combine many systems and have everything work OK. As it is, companies spend a lot of money for IT teams that keep their business running smoothly, but even the best IT teams would have a hard time keeping up with each individual device for each employee. Even worse, employees wouldn’t exactly be excited to hand over their personal devices so their IT team can go through their things. This can create a very complicated situation for IT teams, and for the company as a whole. Tied into the same IT problem, many companies also monitor the activities of their employees so that they can ensure that work is getting done, and that there are no rules being broken. While general internet monitoring is possible through server-side software, monitoring of the rest of employees work is less easily done if they are each running their own device. Also, the employee can side step network monitoring relatively easily by setting up a VPN and proxy, so this form of monitoring can prove somewhat unreliable. On the reverse side of that, having employees access a secure network with their personal devices creates quite a security risk for the company. Without being able to control the security level on the device, the network has to be better protected against malicious software residing on employees computers. This in and of itself is a huge problem for businesses. The consumerism aspect of our culture means that BYOD is a trend that is most likely going to be around for a very long time. However, this doesn’t mean that it is the correct solution for every company. There are many grey areas between bringing your own smartphone and laptop, and having no access with your devices at all. Many companies are taking the happy medium approach by letting employees bring their own smartphones, but not their laptops. This allows their employees to stay connected while at home, without sacrificing the control and monitoring that is on their workplace desktop. Another reason that there is no definite solution is because all industries, and positions within those industries, are different. For salesmen that are on the road most of the year, it might be OK to let them use their own laptop as long as they have compatible software for their regular reports. If your customer relationship management software is based online, then it is even easier for your employees to use their own devices simply to access it. Some industries have very specialized software that is only compatible with professional versions on Windows software, so bringing in your own Apple laptop just isn’t feasible. As technology becomes more pervasive, there will be higher demand for BYOD in the workplace. It is very important in this day and age for companies to find a happy middle ground for them and their employees. As technology becomes more pervasive, there will be higher demand for BYOD in the workplace. What many companies need to realize is that they cannot stop this trend, and that BYOD is a way for them to improve their employee relationships and to attract new talent. If there is an opportunity to let employees use their own device, it shows a great level of trust to extend to them that option. As many companies are finding out, this can lead to higher productivity, and a happier work culture. It all comes down to the simple fact that the most important thing is that work is getting done. Employers are now forced decide how important it is to control exactly how it is done, and to really weigh the positives with the negatives. The idea of having less control isn’t very appealing to business owners and people managers, but if letting their employees use their own device really boosts productivity, they might not have a choice. Most business owners would probably agree that if they are making more money, they don’t care too much about how the work is being done. If workers happiness and productivity can produce enough increase in business to help pay for extra IT team members and better security, then the strategy is well worth implementing. However, this is really hard to measure, and may have to be decided on a personal level by the owner of the business. BYOD can certainly increase productivity for many businesses, but there are also many negatives to a free technology policy as well. The people in charge need to weigh how much they think the increase in productivity and happiness will be, against the potential negatives that may arise. If the result is even close, then BYOD is well worth the risk and the new-found happiness of your employees.